You are here: Home / Electrical Engineering students created a multi-tasking Quadcopter. / Activities / Electrical Engineering students created a multi-tasking Quadcopter. Electrical Engineering students created a multi-tasking Quadcopter. 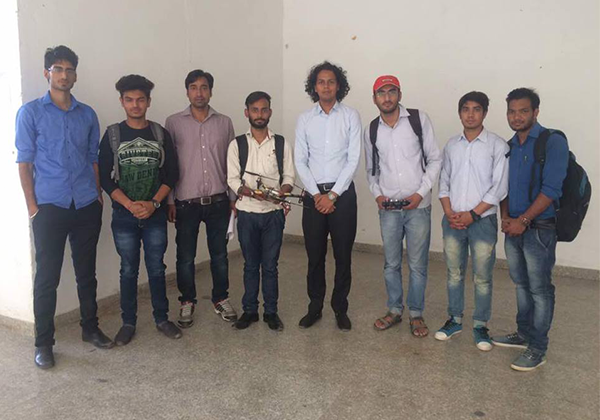 Rakesh Kumar and Vishal of Final Year, Electrical Engineering students created Multitasking Quadcopter which can be used for Electronic Surveillance, Traffic Monitoring etc. http://www.pacific-it.ac.in/wp-content/uploads/2018/03/news-42.png 420 600 nirbhay http://www.pacific-it.ac.in/wp-content/uploads/2017/06/PIT-black-resize-1-min.png nirbhay2017-06-23 09:41:232018-05-23 11:24:21Electrical Engineering students created a multi-tasking Quadcopter.